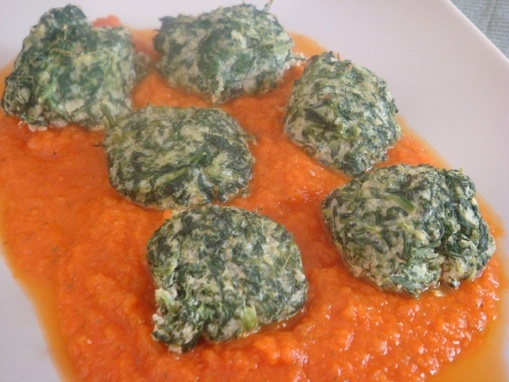 This is a no flour, low carb, gluten free dish of spinach yumminess. I prefer to serve this with a tomato sauce but the Gnocchi would also be lovely with a hearty salad too. Light, refreshing and good for you..this dish has it all! This dish is also known as naked ravioli because the gnocchi are essentially mounds of ravioli filling. It’s important to squeeze the spinach completely dry, so the gnocchi don’t fall apart. The recipe here uses fresh spinach, but you could also use frozen spinach. Just make sure that all the water is squeezed out of the spinach. Cut the stems off the spinach and cook in a large pan of boiling water for 1 minute. Remove and plung into a large bowl of ice water to stop the cooking. Put the spinach, Ricotta, 4 tblspns of Parmesan, egg yolks and seasoning into a bowl. Mix well. Shape the mixture into balls about the size of walnuts. Lightly butter a casserole dish and place the gnocchi balls in it. Sprinkle with some Parmesan cheese. 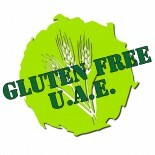 This entry was posted on 06/03/2012 by glutenfreeuae in Pasta & Gnocchi, Recipes and tagged gluten free, glutenfree, gnocchi, low carb, ricotta, spinnach.